Wonder mare Winx smashed legendary sprinter Black Caviar's Australian win record Saturday when she made it 26 in a row at a race named in her honour. The six-year-old darling of the Australian turf, the world's top-ranked horse, hadn't run since the Queen Elizabeth Stakes in April, but her victory was never in doubt. On a windy day at Sydney's Royal Randwick, Oriental Runner was first out of the gate and the early leader in the 1400m sprint. 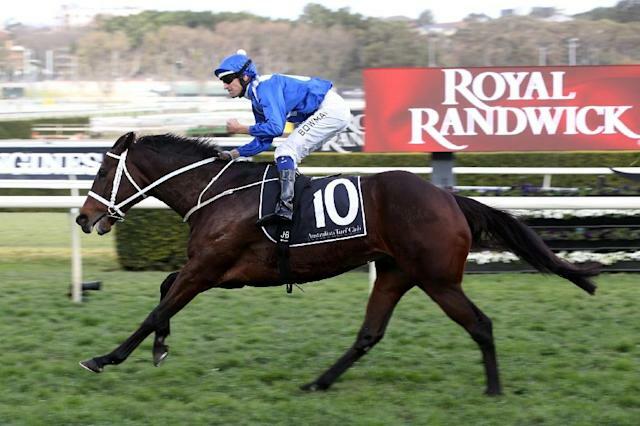 But with long-time jockey Hugh Bowman in the saddle, Winx positioned herself on the outside and as they came into the final straight powered away from the field to cross the line well ahead of Invictus Prince and D'Argento. "She heard the crowd erupt with 250m to go and she just dropped (her head) and went for it," said Bowman, who has ridden Winx to 25 of her 26 consecutive wins. "She has got absolutely no chinks in her armour." Black Caviar was unbeaten in all 25 races she ran before retiring in 2013 and is widely considered the greatest sprinter the world has seen. Now aged 12, she has since given birth to several foals. It has been thoroughbred Winx, from Magic Bloodstock Racing, who has been invincible in recent times. She has won the last three Cox Plates, Australia's most prestigious weight-for-age race, and been the world's top-rated turf horse for the past two years. She was heavily backed as odds on favourite Saturday with one fearless fan betting a massive Aus$140,000 (US$100,000) that she would cross the line first. "She's an amazing horse," said trainer Chris Waller, close to tears. "I can't really think straight, but she's a sporting icon and I'm so proud. She's just too good." The race, over seven furlongs, was known as the Group 1 Warwick Stakes, but renamed the Winx Stakes last year in the mare's honour. Before the race Waller said she could get even better. "I think there's more chance of her improving than going backwards," he said ahead of Australia's spring racing season.